Luxury, Professional, Eco friendly oven and carpet cleaning, Southampton, Romsey, most of South Hampshire. 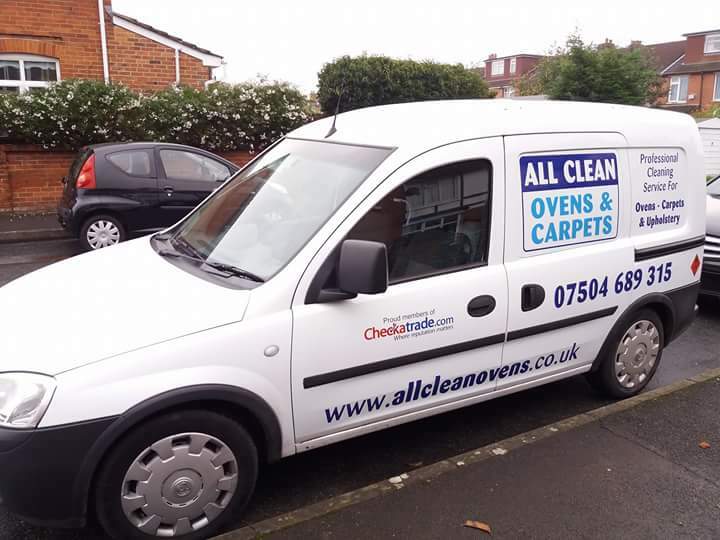 All Clean Ovens and Carpets is a professional, luxury, friendly oven and carpet cleaning company. OVENS - The price quoted includes a complete DEEP clean inside and out and it includes oven racks! CARPETS - The price quoted includes vacuuming, pre spraying, stain treatment, cleaning & rinsing with hot water extraction. Make your oven sparkle inside and out. No caustic chemicals are used!! We use the latest Eco friendly cleaning products so your oven and appliances are completely safe to use immediately after cleaning. Oven dip tank for the cleaning of the removable parts of the oven.